Got short legs and have trouble getting your legs around with your standard 165mm or 170mm crank arms? 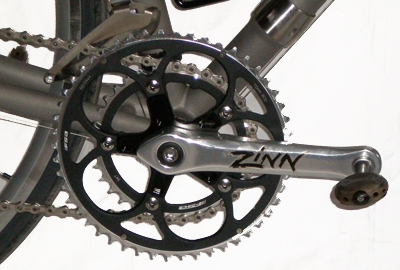 Order a set of Zinn custom extra short cranks and get that extra comfort, efficiency and smooth spin you're looking for. It only makes sense that your cranks should be proportional to your legs, not a length designed for somebody a lot taller than you! Our extra-short cranks are available with a minimum length of 130mm. You won't believe the difference they make!